The inside of an old piano is recycled into a kinetic sound sculpture. Videos of birds are projected directly onto the piano providing an ever changing musical score. 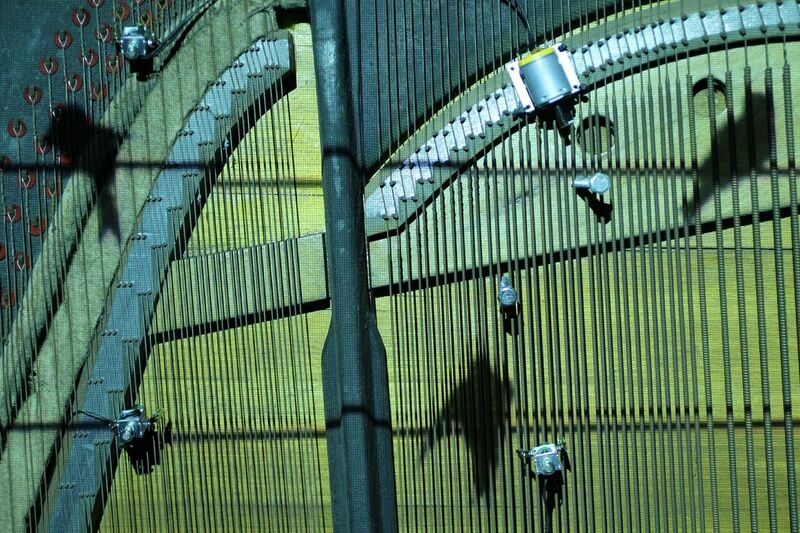 The movement of the birds trigger small machines to twitch and ﬂutter on the piano strings. In this work, nature controls machines to create delicate music. The installation becomes a site for live performance. 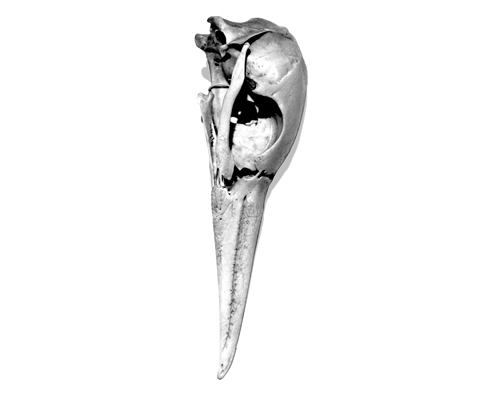 Kathy Hinde mixes video projections of birds to create diﬀerent musical patterns from their movements. She is joined by Matthew Olden, who performs with his own live sampling software ”i am the mighty jungulator”. Together they create a captivating performance where image becomes sound and sound becomes image through a series of transformations realised through acoustic sound, live sampling, automata and projections. Kathy Hinde, Piano Migrations. from Kathy Hinde on Vimeo.